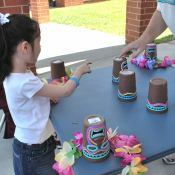 Luau Party Ideas for kids. This is a favorite since I grew up in Hawaii!! This is such a fun theme with so many cute possibilities! 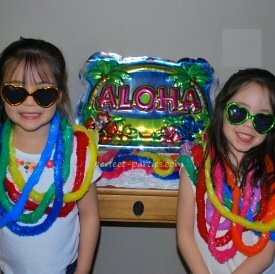 Dress up with leis, funky sunglasses, t-shirts and "rubba slippas" (flip flops) and you will have a cute group of "little Hawaiians." This is also a fun first birthday party theme. In Hawaii, parents often have a baby luau celebration for children turning one years old. eBay is another source for party supplies, however you will not get to see the quality of the items but for a one time use they will be fine. Red or white tablecloth. White will show off colorful decorations nicely. 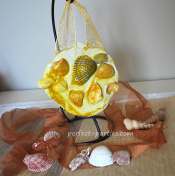 Scatter seashells or silk flowers on the table. Mini umbrellas for drinks or to decorate table. Colorful balloons. Tie to birthday girl's chair or decorate the room. Small colorful sand buckets or mini pails to hold cutlery. Find Hawaiian cups and an object that will fit under them. Show the object, cover with a cup and move the cups around. Player guesses which cup the nut is under for a prize. 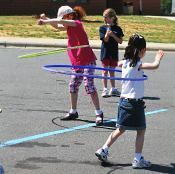 See who can hula hoop the longest or the most creative way to use a hula hoop. Ocean Scene: Construction paper, cut out fish, wiggly eyes, paint and sand and Elmer's glue is all you need for this cute party craft. 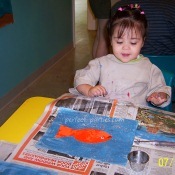 Kids paint the "ocean" glue down the fish, glue on the wiggly eye and drizzle sand on the wet paint. Add cut outs of seaweed for more detail. This was done at a birthday party held at an art center. Easy for all ages. 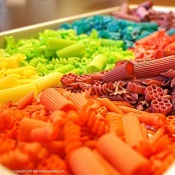 Colorful Pasta Leis are fun for young children to string up. Click on the link to see the detailed how to's on our site at Teaching Tiny Tots. Another simple lei idea is to cut paper flowers in various colors out of construction paper and cut sections of straw and string using yarn and a large eyed plastic needle or masking tape the end or the yarn for younger children to string safely. Pinatas: Any colorful pinata will work. Use a pinata blindfold, bandana or large hat. Decorate flip flops with rhinestones and other slipper floral decorations. They sell these at Hobby Lobby.